After loving our carbon monocoque fork (see story here) the Singletrackworld test crew now had a closer look at our carbon riser bar and our carbon titanium post. 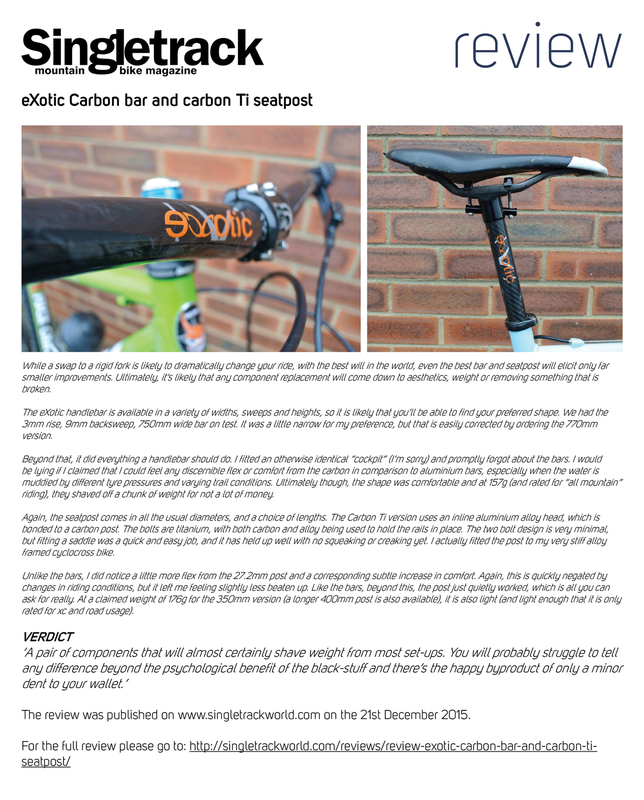 To read the full review on Singletrackworld please click here. And don't forget that you can pick up the carbon titanium post (as well as any other model of post from CarbonCycles) for 10% off in our 'last week before Xmas' promo. Just use code XMAS104 at checkout.